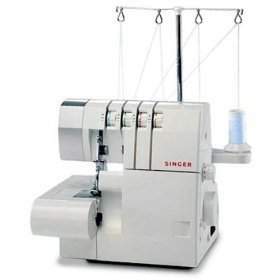 This is my latest wish list - serging machine to feed to my latest sewing obsession. Serging at a shop is cheaper but is more troublesome especially since most of the time I don't have no idea what I'm doing with the fabric - with zero sewing training and experience, I do all my sewing by trial and error. Already checked this at a singer shop, this baby costs RM1,400. Pricey but the good news is they accept credit card installment (hooray!). RM60 for 3 years! So by the time I finish paying, my kids will be big and got married... Hmm.. see if I can think of a way how to sneak this into the house and hide it from my husband for the rest of our lives.